Coastal Home Inspectors is one of the major company in Marco Island by giving our dear customers professional and comprehensive home inspection service by professional Home Inspectors Marco Island. Coastal Home Inspectors are professionally trained and fully licensed who give Purchasing or selling a home is one of the most important conclusions that a person will make one time in their life. Knowing that your home is in good condition and safe, is most important to making that conclusion much easier. Coastal Home Inspectors team of highly qualified and dedicated professionals is faithful to providing a high quality of service to greatly decrease the home inspection stress. Coastal Home Inspectors skills and capability are combined to provide comprehensive professional home inspections for his many clients by our expert Home Inspectors. 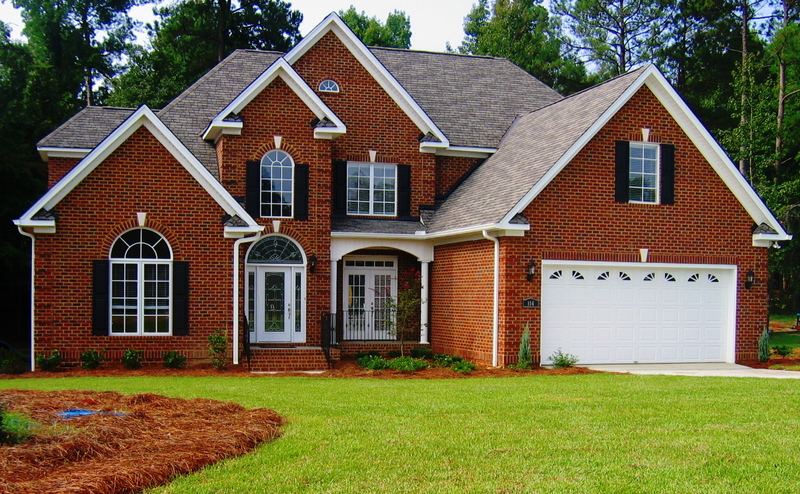 Coastal Home Inspectors are dedicated to providing their clients important information regarding the complete home. Coastal Home Inspectors are accurate home inspection reporting process allows us to provide you with detailed information regarding every major and minor part of the home. The Coastal Home Inspectors are providing you and will allow you to form an informed decision regarding the home to the home to better allow you to choose if this home is where you want your family to live and if it is safe and sound from any major and minor defects. When you hired Coastal Home Inspectors to inspect a home or any other commercial property we are there for just one reason to investigate the property and develop a report to inform our clients on their purchase. Coastal Home Inspectors do this by using years of construction information, constant training, and up to date apparatus to evaluate the home inspection. Coastal Home Inspectors will give you vital information about the home that you are buying or selling. Our Home Inspectors Marco Island give you complete and comprehensive home inspection report on the condition and structure of home that you make an educated decision. A Coastal Home Inspectors is a professional, objective and visual Home Inspectors Marco Island. The Coastal Home Inspectors identifies the major and minor systems and elements of the complete home during a home inspection from foundation to roof before a purchase are finalized your agreement. Once the home inspection is completed, Coastal Home Inspectors completely review the entire report and provides you the cost consideration on any of the mechanical systems of the home that may need repairs or replacing within the next years. Coastal Home Inspectors take approximately 2 to 3 hours to the comprehensive inspection of the home include roof, gutters, chimney, drainage grading, foundation, basement, electrical inspection, plumbing, attic interior insulation and ventilation, walls inspection, floors, ceilings, windows, and doors condition. Buying a home is probably the biggest single investment you may ever mark. You should learn the maximum amount as you'll concerning the property and therefore the want of any major or minor repairs before you buy a home so you'll minimize any unpleasant surprises and difficulties afterward. Coastal Home Inspectors will give you the information according to the vital details you’ll have to be compelled to perceive the condition of your home, furthermore as instructional recommendations on the upkeep of your home. The cost of a home inspection is very little relative to the home being inspected. Coastal Home Inspectors are determined to perform home inspections of the utmost quality and with honesty. For a purchaser, they make sure that they know and understand each fact about the home that they're buying. For sellers, Coastal Home Inspectors give a report that gives you peace of mind or a heads up on what the purchaser may be asking to be repaired or replaced ahead of time. Coastal Home Inspectors will use his expertise to educate his customers regarding their biggest purchase. A home inspection by professional Home Inspectors Marco Island is very important and only way to know the correct condition of the home. The home inspection process is often always performed at the time of the sale or buying of the home. Buying a home is one of the biggest purchases so it is very important to inspect your home before you procured. A home inspection is an inexpensive way to know the accurate condition and structure of the home which you are buying. Coastal Home Inspectors professional and experienced Home Inspectors Marco Island will inspect the all major or minor components of the home and will give you complete peace mind. The Coastal Home Inspectors consider the home or commercial property from roof to foundation to classify safety issues and define the current conditions on the property. Our Home Inspectors Marco Island will give the report about home from the foundation to the rooftop. Even if you find a home which is looking in good and accurate condition then it is a Home Inspectors Marco Island are the responsibility to inspect your home completely and give you valuable information about your home. Coastal Home Inspectors professional home inspectors know the importance of your biggest investment that is why they inspect your home very sensibly. We are providing quality and professional home inspection for home buyers, sellers and owners with impartial, complete information regarding property conditions. Coastal Home Inspectors professionals are well-trained to perform a neutral, visual home inspection. Coastal Home Inspectors can easily understand that every property is an important investment for you, and provide the property condition information you need for the best possible decision making. Our mission is to provide you with the proper information to help you make a well-informed decision regarding the purchase or sale of your home. At Coastal Home Inspectors, we recognize the importance of reliability, integrity, and trustworthiness to our success as a Home Inspection Atlanta GA. We are committed to upholding high ethical standards in with every Home Inspectors Marco Island. We are here to help you and protect your biggest investment. Coastal Home Inspectors will give you our very best and effective effort and provide you with the information necessary for you to make the correct and right decision for your purchase. Experience matters. Let Coastal Home Inspectors experience work for you.